In operational tokamaks around the world, plasmas are heated every day to temperatures that reach tens of thousands, or even millions, of degrees Celsius. Run with hydrogen, deuterium or helium these experiments may not generate fusion energy, but they allow scientists to better understand the behaviour of plasma—the "fourth state of matter"—at very high temperatures. Such knowledge contributes to the design of ITER. 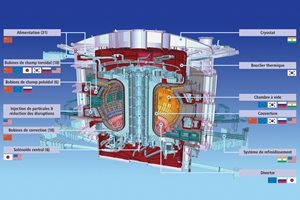 In order to generate large amounts of power in a tokamak, as ITER plans to do, the reactor must be fuelled with a combination of hydrogen isotopes known to produce the most efficient fusion reaction—a 50-50 mix of deuterium (D) and tritium (T). The use of the radioactive element tritium, however, generates significant operational constraints: D-T fusion is only possible in a nuclear facility subject to very draconian safety and security measures, and all maintenance activity must be carried out by robotics. The European tokamak JET, enhanced with an ITER-like wall and divertor, is getting ready to renew experiments with a 50-50 mix of deuterium and tritium. 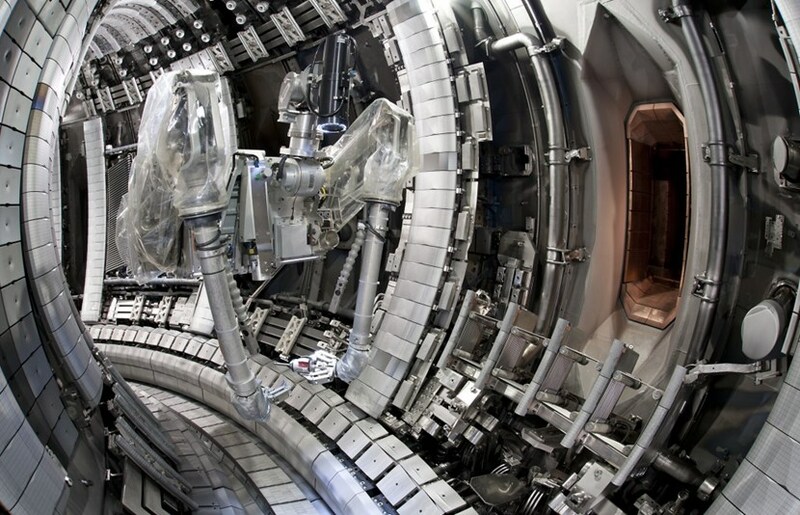 Only one tokamak in the world is capable today of D-T fusion: the Joint European Torus (JET), that has been in operation in the UK since 1983. 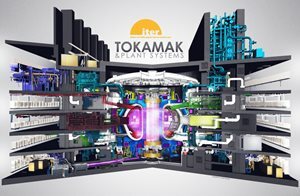 Until ITER enters operation, the JET tokamak holds three world records: it's the largest tokamak in the world; it is the first to have realized D-T fusion during its 1991 campaign; and it holds the record for fusion energy production (16 MW produced in 1997). The American tokamak TFTR (Tokamak Fusion Test Reactor) is the second machine to have produced significant fusion energy (10.7 MW) in 1994, before the machine was dismantled three years later. Fusion reactions, obtained through the pairing of different isotopes of light elements, liberate on average four to five million times more energy than the most powerful chemical reaction such as the burning of coal, oil or gas. In the present state of fusion technology, the most efficient pairing is the reaction between two "heavy" isotopes of hydrogen—deuterium (D) and tritium (T). 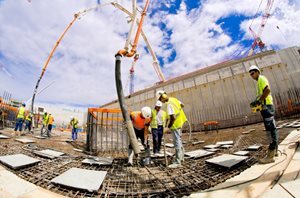 D-T fusion, which is the reaction chosen for ITER and the first-generation fusion reactors, presents a certain number of challenges: tritium is radioactive and the impact of the high-energy neutrons produced by the fusion reaction will activate the internal components of the machine. Other combinations of elements are conceivable with non-radioactive elements that produce no (or practically no) neutrons: it's the case of the helium isotope helium-3, for example, which can fuse with other helium-3 nuclei or with deuterium. Technically impossible to achieve today due to the extreme temperatures necessary for its realization, helium-3 fusion also presents another major disadvantage—the nearest deposits are captured within Moon rock. Outside of a short experimental campaign in 2003, when small amounts of tritium were added to deuterium plasmas, it has been 17 years since the last D-T fusion experiments were carried out at JET—17 years since a small, artificial star was briefly created on Earth. Preparations are underway now at JET. Before D-T plasma shots can begin again, the team at JET must fine-tune the machine, train a new generation of operators, and reactivate the knowledge and experience accumulated during the D-T experimental campaigns of the 1990s. 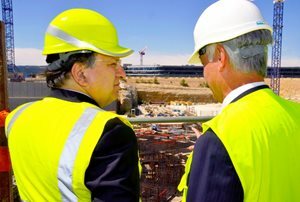 In three short years, JET will kick-off a new set of full-power fusion experiments using tritium fuel in a campaign that will act as an important "dress rehearsal" in preparation for ITER's operation with tritium.